So if you haven’t participated in ‘link spamming’, you should not need to worry, but it is always good to verify anyways, and perform any cleanup that may be necessary to improve your website’s search ranking. We recommend the following free online tools to help diagnose your website’s relation to Google’s new update and guidelines. From our review of these tools, we recommend you try Traffic Travis first. Please let us know about your own experience with any tools concerning your search engine optimization efforts. 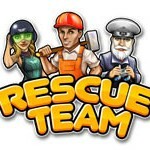 We’d be glad to offer you some more advice or you can even hire us (more info here: http://4goodhosting.com/seo-services.html ) to bring up your search engine ranking; as this can be complicated or overwhelming for many of us. Please write us anytime at support@4goodhosting.com and one of our friendly agents will respond to you soon after receiving your email. If you run a .ca domain or a site that targets Canadian customers, you should look for a Canadian web hosting company. Canadian web hosting companies offer you the right infrastructure, SEO, workforce, and connection speed you need to service Canada web traffic. If you can’t decide on whether or not you want to host in Canada versus another country, here are some reasons why you want to go the Canadian route. Canadian infrastructure is fast. Fast is what you need for your users. Statistically speaking, you lose a percentage of your traffic for each second that it takes for your website to load. For instance, if your site takes six seconds to load, you can lose up to 50% of your traffic versus losing only 30% of your traffic if it takes 5 seconds to load. In other words, your site should load as quickly as possible. You can’t control the speed of your host’s servers and the backbone network (such as fiber cabling) that connects the host’s data center to the Internet. However, you can choose the right hosting and fast hosting is a part of a Canadian host’s infrastructure. Canadian infrastructure has 100megabit-1gigabit since 2011, which is faster than the average US hosting company. Canadian hosts have the latest in technology as well, so you receive the most up-to-date equipment when purchasing hosting services. Overall, Canada’s Internet services are ranked among the top 10 in the world in terms of speed, reliability and performance. 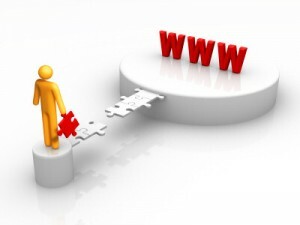 With any website, there comes a time when you need support. Support comes in several forms including account help, technical services and website uptime. All of these issues affect your bottom line, so you should look for a hosting company that offers the best in web hosting support. A good company will offer 100% uptime with 24 hour support, 7 days a week. Something you won’t get from most other web hosting companies outside of Canada is the friendly, courteous support and educated staff. Canadian web hosting staff are highly educated and skilled. Compared to the US, Canada has a better educational system and is ranked in the top 6 for education including math and sciences, which is a an obvious foundation for any type of technical job. Happy workesr workers equate to better support, and Canada is rated as one of the top ten happiest countries in the world. IT support, especially for web hosting, can be a draining job that requires a better level of customer service and understanding from the support technician. Good support will translate into better website uptime for your business. The .ca top-level domain (TLD) indicates that a website is located in Canada. If you target Canadian customers, you should look into owning one of these TLDs to improve geo-targeting to Canada. Search engines automatically geo-target using TLDs for specific countries. Most search engines such as Yahoo, Google, and Bing have a specific version of their website with a .ca TLD, which is where their Canadian users visit when they want to search for a specific product or service. For instance, suppose a search engine user does a search for “buy furniture.” This is just one of millions of possible ecommerce searches, but let’s use this one as an example. Most people are more likely to buy furniture (or any product) locally or at least have a preference for purchasing locally. If you create a website with a .ca domain and cater your content and environment to Canadian users, search engines are more likely to send its users to a Canadian website versus a site located in another country. When you have a .ca domain, you automatically geo-target that website to Canada and improve your search engine rank for Canadian searchers. In addition to geo-targeting, having a site hosted more closely to the user speeds up the load time for the website. You can have the fastest server in the world, but your website load times also depend on your visitors’ location. When you have a site that is hosted locally to Canadian searchers, you improve performance even if the user has a slower Internet connection speed. Data centers are huge warehouses of servers that take enormous amounts of power to keep them running. They not only harm the environment, but the costly electricity and power it takes to keep these huge facilities running is passed on to you, the website owner. You can eliminate some of this cost by choosing a hosting company that conserves its resources and uses energy wisely. Canada is one of the largest energy producers in the world, which makes the energy source direct to the web hosting provider. When you use a direct energy source, it’s cheaper for the web host and therefore, cheaper for you. As a matter of face fact, Canada is the fourth largest country in hometown energy production. That isn’t to say that Canada isn’t concerned about its environment. On the contrary, Canadian energy is mostly from hydropower, which saves on natural resources and is better for the environment. Hydropower provides 60% of Canadian energy. This translates into greener power when working with any type of technology that requires electricity, especially web hosting services. Privacy is a big issue as more news is released about snooping and Internet eavesdropping. Canadian laws support privacy, and the country is even recognized as one of the leaders in privacy laws and policies. One trademark flaw in US hosting is your privacy and your customer’s privacy. The US has the Patriot Act, which gives law enforcement uninhibited access to information if police feel that any person or company is a threat to the country. Canadian web hosts have the authority and the laws to protect your privacy. Canada is also a more citizen-friendly society with disputes and law suits handled more favorably for its citizens, which makes it one of the top ten countries for handling disputes regarding privacy. According to the World economic forum, Canadians protect intellectual property greater than its US counterparts. This translates into better protection of your content, your trademarks, and your copyright when it comes to your website and business. Unless you don’t read the news, you probably know about the numerous hack attempts, data theft and overall anarchy on the web when it comes to user data. Customers are more aware of the online dangers of the Internet, and this apprehension can turn into an issue when you need to gather customer information from your website. A lot of your security is dependent on your web host. You don’t configure the web server or the firewall that protects the web server from denial of service attacks (DDoS). Another issue is SQL injection, which is a hack that can allow the hacker to gain access to all of your customer information including credit card information if it isn’t secured. Even if you are not sure how to secure your customer data, the right web host can help you protect that data even if it’s giving advice on the proper way to store private information. Security is usually something you can’t research on your own. For instance, you can’t get specific security configurations from your web host. The best way to research a Canadian web hosting company is searching the Internet. Look at user reviews and comments made by others. You can also find mentions of any security issues or poor customer service pointed out by other customers. It’s important to ensure that your customer data is secure, so your web hosting company should have technical staff onboard that protects the environment at all hours and monitors for any unusual traffic that could be an issue for your site’s security. It was mentioned earlier that your website performance plays a large role in search engine optimization. Connection speed is a part of your web server’s connection to the Internet and your user’s connection to the Internet. Although connection speeds in the Canadian region is clocked slightly lower than the US, the basic Canadian infrastructure offers high-speed broadband connections at about 4 Mbps (megabits per second). This connection speed is important for your website users and you don’t want your web server to be the bottleneck. Canadian web hosting is a great investment for your company. Even if you don’t have a Canadian website, you can still choose the best international web hosting service available that isn’t too costly and offers a better experience in both technical qualifications and support and customer service compared to its US counterparts. If you are looking for a web hosting company, you’ll surely find great service with a Canadian company. Take a look at statistics, research the company you want to host your site, and know that the service and support you’ll receive is better than other international companies. On a Wednesday afternoon in the first week of October 2014 in Palo Alto California, some of biggest names in technology, together many less famous others, were talking with harsh words in response to the ongoing US government surveillance scandal; during a meeting to discuss the potential of the ever creeping state funded spying activities. The event included Google chairman Eric Schmidt, Microsoft’s Brad Smith, and Dropbox representative Ramsey Homsany, and a long list of others. Fired NSA employee Edward Snowden exposed the US government’s creepy and secretive multi-billion dollar surveillance activities; by coping thousands of official documents (perhaps to a tiny memory card) that clearly outlined the mass surveillance of regular internet user to be far more extensive than the ever-gullible population were aware of. “We’re going to wind up breaking the Internet,” Google’s chief added. 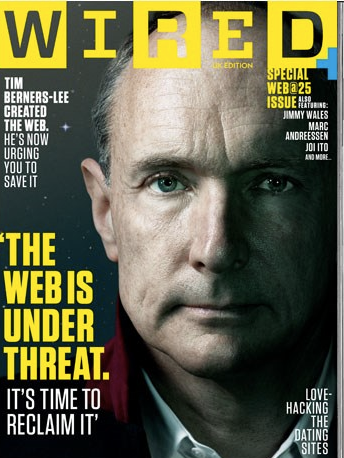 Message from Tim Berners-Lee, a computer scientist who made the first ‘web server’ program in 1990. Forward: There seems to be quite a lot of confusion around regarding the origin of the internet, which has been around since the 1960s, and began as a US DoD project known as ARPANET, and the origin of world wide web, which has only been around since about 1990. Mr. Berners-Lee, a former employee of CERN and Belgian computer scientist Robert Cailliau proposed in 1990 to use hypertext “to link and access information of various kinds as a web of nodes in which the user can browse at will”. The first web browser and web server was created by Mr. Berners-Lee using a Next workstation. Long before the web, the internet existed in the form of newsgroups, e-mail, and FTP sites for exchanging files. Tim, currently aged 59, is a director at the World Wide Web Consortium ( http://www.w3.org ), a think-tank which publishes guidelines for the future development of the world wide web. So the British man generally mistaken or over-rated “inventor of the internet” is still quite great guy regardless because he is using his status for the protection of internet freedoms. On Saturday the 27th of September, at the London ‘Web We Want’ festival concerning the future of the internet, he gave a speech asserting that freedom over the internet is under attack/threat by governments and corporations who are in many ways independently and jointly interested in controlling the web; for additional profit and also tightened over-control over all our lives. He called for a “Bill of Rights” that would guarantee all of us independence on the internet and protect end-user privacy. Much like an internet version of the Magna Carta, a famous English charter from the 13th century enshrining and guaranteeing basic rights & freedoms.